A permanent Light and Land Art Memorial Installation at the non for profit art foundation Life is Art Foundation in Santa Rosa, Sonoma county, California. 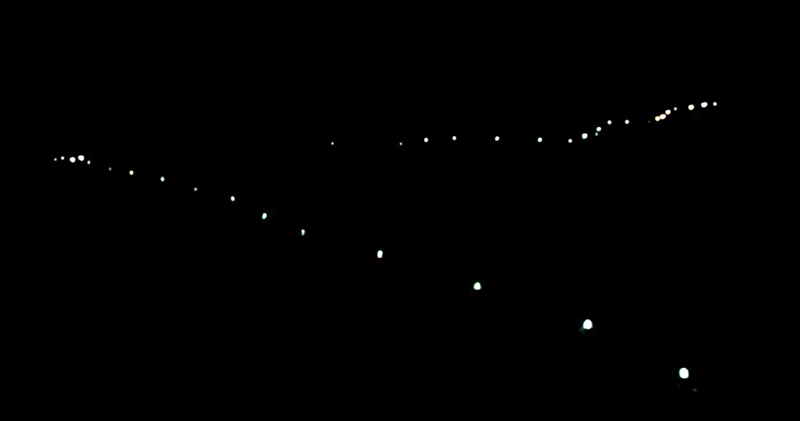 The River of Migration, consists of 72 solar power run lights, that are placed on a mountainside in long consecutive lines echoing migratory movement while creating a light contour of the landscape. The representational light and land piece creates a spatially drawn line and a geographical mapping of the Californian landscape, and serves as a gestural, lyrical and critical comment to migration policies, border wall policies and raises awerness to the rise of all aspects of human trafficing as buisness, as well as the financial structures of climate refugees, war refugees, political refugees and gender refugees and who capitalizes on it. 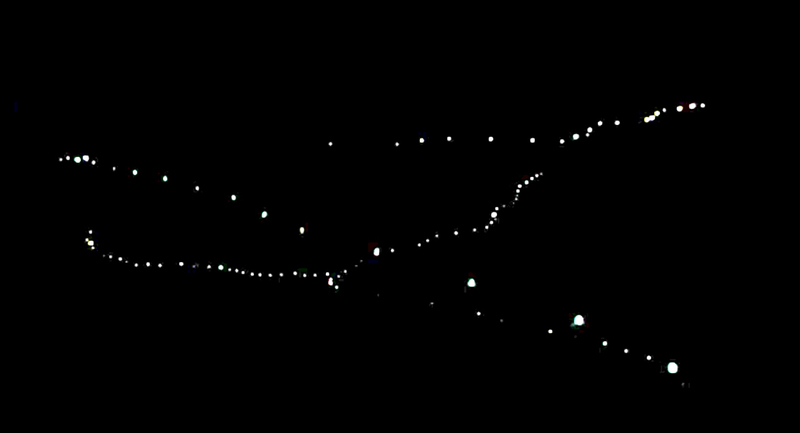 With the intention of light creating a memorial, Senstad illumniates issues of migration with the symbolic river as a human river of light of the nameless. The lights are placed as a gestural memorial with intention of honoring the souls who died in the migratory process, in this case, to those who failed to cross the US-Mexican boarder, or were murdered in the process. This permanent installation brings attention to the US boarder politics, the issues and intentions of the boarder wall towards Mexico, the fact that California was once Mexican and also native American, the violent deaths of people attempting to cross the boarder, as in this case, the 72 light represent a specific case of the murder of 72 individuals who in 2010 resisted being used as drug traffickers by the cartel, forced into a no win situation, yet is a symbol of numerous fallen in the process due to politics and war throughout time. 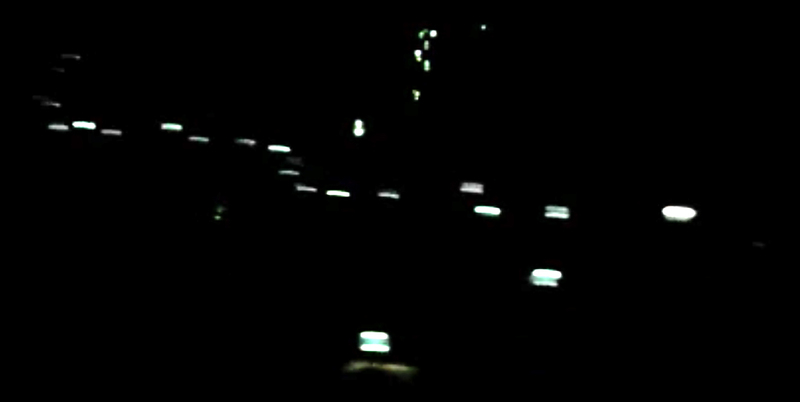 As the solar panel lights are lit from dusk till dawn, when most people cross the boarders illegally, the lights illustrate the very nature of migratory action. 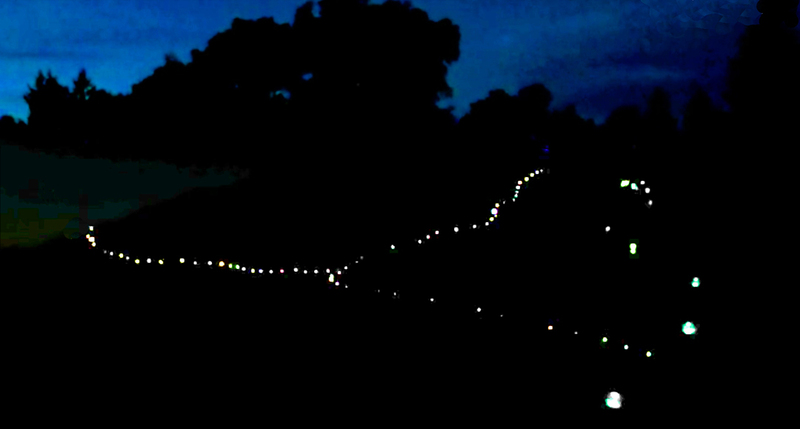 The mapped out line of lights down a hillside,talks about the nature of migration, how bodies of peoples crossing long distances by land, will naturally walk in a sequential manner according to age, physical health, group importance and their task within the group. All images ©Anne Katrine Senstad and are video stills from the resulting documentary video piece from the project. The River of Migration Video was screened in Beqacon, nY in 2011 and during MACO art fair in Mexico City in 2013. Life is Art Foundation West originated in New Orleans, LA 2007 - 2010 and was established in California 2010. 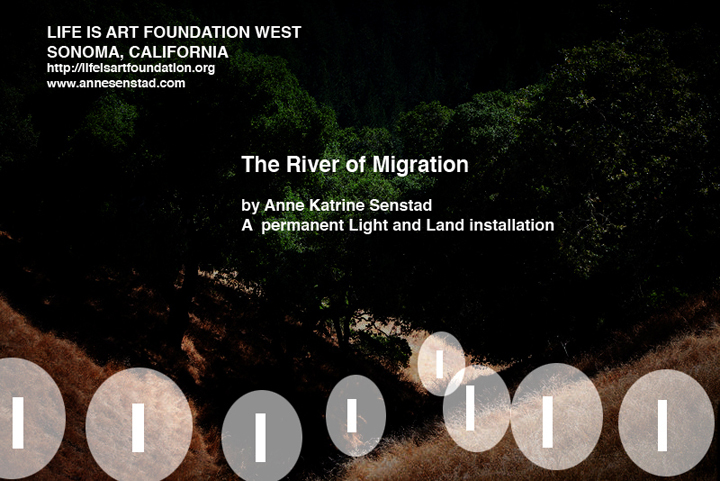 The River of Migration installation was part of the inaugural opening of the foundation. all art/photography on this site is copyrighted material.